Three tenets of the ASPA Code of Ethics (“Code”) focus upon building ethical cultures in public service organizations. In particular, tenet seven addresses what’s required of public administrators. They must “strive to attain the highest standards of ethics, stewardship, and public service in organizations that serve the public.” Note by implication—building ethical cultures begins with public administrators who embody these attributes. Is this principle merely aspirational? Or is it descriptive of those public administrators who successfully build ethical cultures in their public service organizations? Fifteen years of research indicates that success in building ethical cultures in organizations depends in large part upon the commitment of their leaders. Treviño, Weaver, Gibson and Toffler argued in a 1999 California Management Review article that private sector leaders create positive ethical cultures by responding to misconduct. This leadership behavior increased employee satisfaction with their leaders and the organization as a whole. In turn, situations involving misconduct decreased and a sense of preparedness to handle situations inviting misconduct increased. In a 2004 The Internal Auditor article, Colleen Waring discussed this trend, noting that organizations whose leaders were committed to high ethical standards correlate positively with cost reduction/enhanced performance and stronger ethical culture. The 2006 Wellspring Consulting Fall quarterly newsletter noted how employees are more engaged and want to work in organizations that don’t compromise their personal values. These findings suggest that leaders who build ethical cultures can increase the retention rates of valued employees by decreasing rates of observed misconduct, increasing rates of reported misconduct and reducing pressure to compromise standards. A 2009 Ethical and Compliance Officer Association research report noted that successful leaders model, coach and communicate about “doing right things.” In doing so, these leaders not only build ethical cultures but also ensure that the ethical misconduct present in the broader environment does not fill that void in their organizations. Michael Griffin and Tracy Davis Bradley argued in a 2010 Bloomberg Business Week article that leaders who measure and manage threats to an organization’s ethical culture not only reduce internal threats presented by misconduct, but also boost productivity and performance. The research sends a clear message: Building ethical cultures in organizations depends in large measure upon leaders. As early as 2007, the ERC’s National Government Ethics Survey: An Inside View of Public Sector Ethics identified how the workplace climate for government employees was conducive to misconduct, with 25 percent of employees engaging in misconduct. Furthermore, the strength of ethical culture in government was declining, with pressure to commit misconduct increasing. A way to report observed violations anonymously. A mechanism for employees to seek advice on ethical matters. Training for all employees on code of conduct and ethics policies. A mechanism to discipline employees that violate the code or ethics policies and evaluation of ethical behavior as a part of regular performance appraisals. In organizations with well-designed ethics and compliance programs and strong ethical cultures in place, ERC reported that public sector employee misconduct decreased by 60 percent and reporting had increased by 40 percent. With historically low rates of trust in government at the federal, state and local levels, public administrators must embody the sound principles enshrined in the ASPA Code, especially tenet seven. To that end, public administrators might implement a comprehensive ethics and compliance program aligned with the ERC model discussed above. Work to establish procedures holding individuals and their organizations accountable for their conduct and support these procedures with clear reporting of activities and accomplishments. Act as stewards of public funds by the strategic, effective and efficient use of resources, regularly reexamining the efficacy of policies, programs, and services and, seeking to prevent all forms of mismanagement or waste. Encourage open expression of views by staff members within their organizations and providing administrative channels for dissent; protect the rights of whistle-blowers, provide assurance of due process, safeguard against reprisal and give support to colleagues who are victims of retribution. Seek to correct instances of wrongdoing or reporting them to superiors as well as seeking external sources of agencies for review and action if remedies cannot be assured by reporting wrongdoing internally. Support merit principles that promote excellence, competence and professionalism in the selection and promotion of public officials and employees and protect against biased, arbitrary and capricious actions. Promote proactive efforts to increase the representativeness of their followers and the full inclusion of persons with diverse characteristics. Encourage their followers to adopt, distribute and periodically review a code of ethics as a living document that applies principles of this code and other relevant codes to the specific mission and conditions of the organization. Such an ethics and compliance program integrates both dimensions of a comprehensive approach, namely, compliance and integrity, as argued by Maesschalck in a 2005 Public Integrity article. Compliance focuses upon external controls concerning conduct, oftentimes specifying rules that followers should follow. 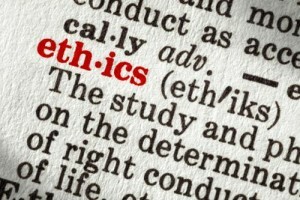 However, they are not the building blocks of ethical culture. The integrity approach focuses instead upon internal controls—like deliberation, ethical judgment and character—which appear to be critical factors for leaders who successfully build ethical cultures in their organizations. Public administrators who seek to build ethical cultures in their organizations design ethics training programs that focus their followers upon the organization’s code of conduct—the rules. More critical, however, is that they also design ethics training programs that focus upon the content of professional codes of ethics—like the ASPA Code—to stimulate the development of deliberation, ethical judgment and character in their followers. Author: Richard M. Jacobs is a professor of public administration at Villanova University, where he teaches organization theory and leadership ethics in the MPA program. Jacobs can be reached at: [email protected].